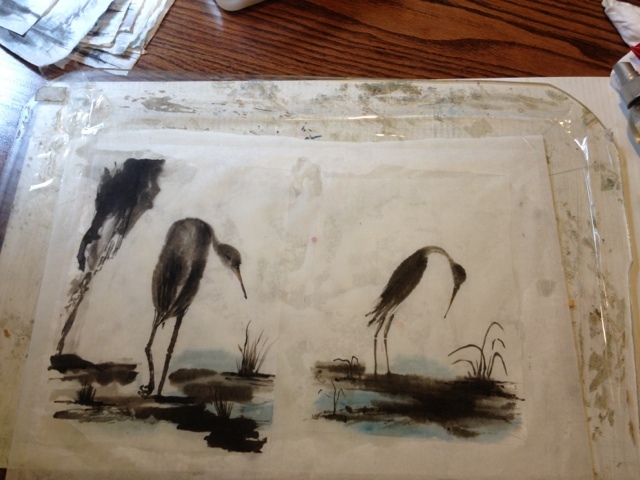 Studio Tour artist Diana Bullock shares with us the process of wet mounting a Sumi-e [Japanese ink painting] work. Visit Diana's studio number 15 on the tour. Her mother Grace MacPherson and her daughter Allison Bullock also will be exhibiting work. Three generations of artists all in one place. Visit www.alternativesinart.ca to see more of Diana and Allison's work. 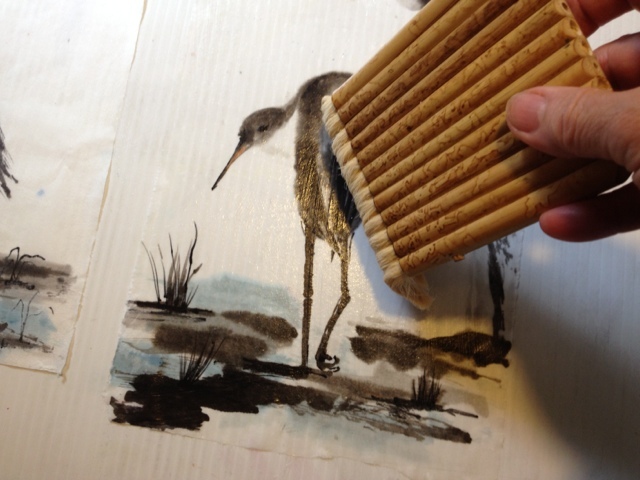 Painting Sumi-e work requires patience. I can't count the number of times I have gotten to the last stroke in a painting only to ruin it. This is a very unforgiving media, if you make an error you must start over. The next step after the painting has dried is to make the painting more stable by adding another layer of paper behind the work. This also improves the colour of the ink. You can dry mount it, which I have never attempted or you can wet mount it. There are places that will do it for you but I prefer to do it myself. After many years I have got a system that works for me. Bear in mind that both of these papers are a little bit heavier than tissue paper. 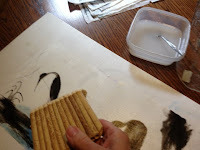 The "rice paper" that I use is strong if you know how to handle it when it is wet but it can easily tear especially when wet! First you lay the painting upside down on a clean board. 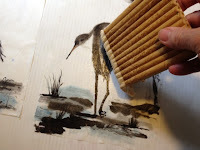 After lightly spraying the painting with water you paste the back of the painting with an acid free rice paste. 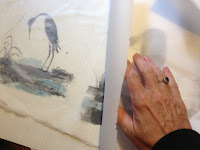 Placing a slightly larger piece of rice paper on the painting you gently rub the rice paper to the painting using a piece of parchment paper to protect the work from tearing. You then have to babysit the work until it drys; sometimes the tape will break away and that can cause a ripple. My birds are now drying. 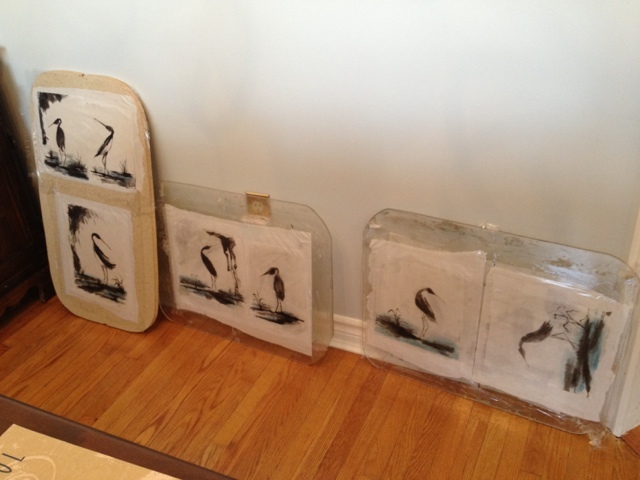 Once they are very dry I will add my seal and sign them, all ready to be framed.